Located below the table displays the recommendations for the preparation of different fruits, vegetables and meat. The duration of drying may depend on room temperature, humidity and the amount contained in the product moisture. If the product contains too little moisture in itself, the duration of drying will be minimal. However, the more moisture it contains, the product, the greater will be the duration of drying. Consider also that the duration of drying products depends on their quantity in the trays. Overload food trays, will slow down drying out time and can lead to bad result. During the drying process you should periodically check the products. If products are not dried enough, it can lead to the formation of mold during storage (see food Storage). To check the readiness SOHO product, you should take his slice to cool at room temperature. Crumple or tear a piece of the product to see whether it's internal moisture. Not to overlap the pieces during drying. 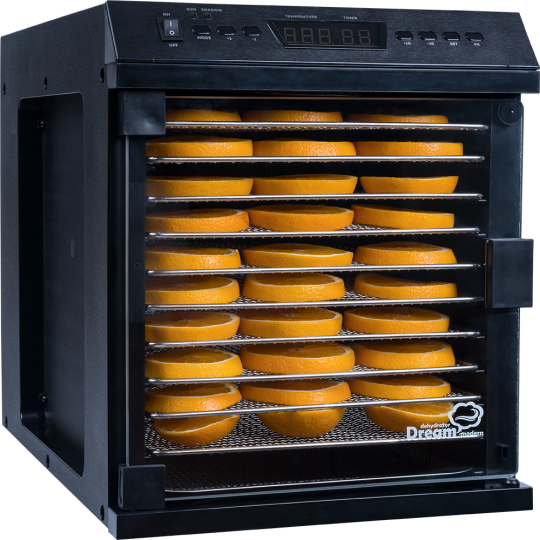 We recommend you to read the article a comparative review of dehydrators.